Tunde Bakare, serving overseer of the Latter Rain Assembly (LRA), says former vice-president Atiku Abubakar will give President Muhammadu Buhari a tough fight for the presidency during the 2019 elections. 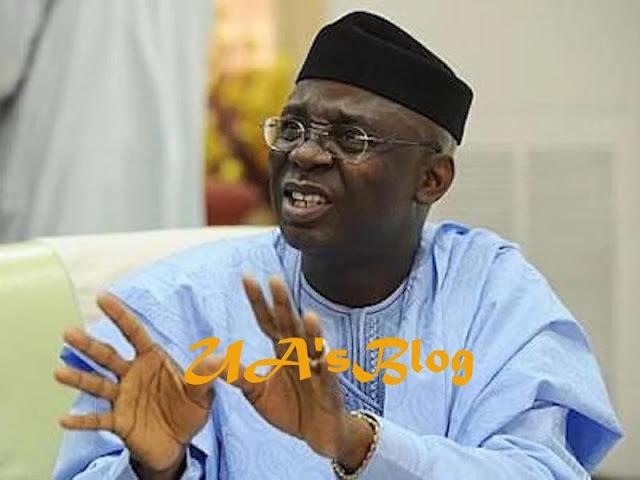 Bakare said this after Abubakar emerged the presidential candidate of the Peoples Democratic Party (PDP) on Sunday, polling 1,532 votes to defeat his closest contender, Aminu Tambuwal, who polled 693 votes. Abubakar also beat 10 other aspirants including Senate President Bukola Saraki and Rabiu Kwankwaso, ex-governor of Kano, to clinch the opposition party’s ticket. Speaking after delivering a speech on Nigeria’s 58th Independence in his church, Bakare said the fight for the number one position will be “eagle versus eagle” and not “eaglet versus an eagle”. He said though Buhari enjoys the power of incumbency, Abubakar “is not going to take No for an answer when the two forces collide in the election”. “I congratulate him (Abubakar), he makes the issue in 2019 more robust,” Bakare said. Bakare said Abubakar, just like Buhari, has the experience, the exposure and the acceptance expected of the country’s president. “I can’t say Atiku will win or lose. You see, I am not advocating for him. Among all the aspirants who contested the PDP’s ticket with him, he is perhaps the most cosmopolitan, he is a Wazobia man,” he said. “But you see, that is not what qualifies you to win. A lot comes into play, so again, I can not say whether he will win or lose.